Our mechanical and electrical division has been appointed by Coventry Building Society, to help them with a long-term refurbishment programme of their branch network, as they roll out their new vision for their branches. Whilst other banks and building societies are closing branches, “The Coventry” is investing in its network. The aim is to create spacious, community-focused, relaxed and friendly environments, putting an emphasis on the human touch. Our role is to assist “The Coventry” in ensuring that the environments are comfortable for both staff and customers by modifying existing or installing new mechanical and electrical services in the buildings. The first stage of this project involves conducting surveys of its new and existing branches nationwide. We will then be working with “The Coventry”, the architects and interior designers to produce scoping documents to enable contractors to be appointed. In addition we have an ongoing monitoring role to ensure that all the mechanical & electrical (M&E) work is carried out to the highest standard. There will be a particular focus on energy efficiency with the aim of reducing the overall CO2 emission rates and ongoing maintenance costs for each building, with existing equipment that has exceeded its useful working life being replaced with new energy efficient items. Many of the branches have listed status and some are located in conservation areas, which can make the M&E service alterations more complex. 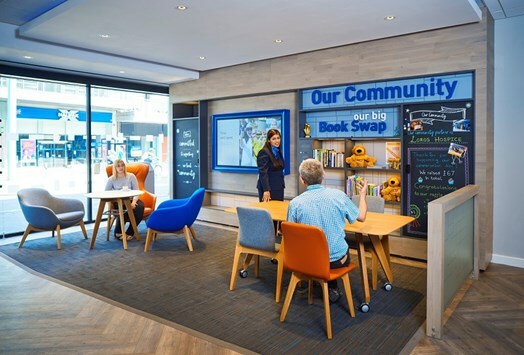 “We have a long and well established working relationship with “The Coventry” and we are delighted to be working with them to help them enhance their branch offering by making the branches more warm and inviting for the benefit of customers and staff,” said Scott Green, Director at Edmond Shipway.